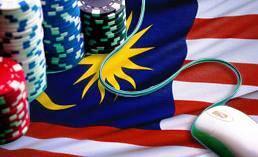 Illegal gambling operators in Malaysia are threatened with power cuts. Police is urging Tenaga Nasional Berhad (TNB), Malaysia’s leading power company, to shut off power to 17 illegal gambling premises. However, TNB has not complied with the request. In February this year, police busted several illegal gambling dens in the Malaysian city of Kluang. Malaysian police is cracking down on all illegal gambling dens across the country. They raided 28 premises in February, which featured 17 illegal gambling houses. Police officials confiscated computers and detained 36 Malaysian residents. Illegal gambling operations also featured online casinos. In order to prevent that the raided gambling dens resume their operations, the police is urging TNB to shut off power to the houses. In addition, citizens are asked to inform the police about illegal gambling activities. In 2010, the Ministry of Finance granted Ascot Sports a license to offer sports betting. Supporters believe that legalized sports wagering will reduce illegal bookmaking. In addition, legalized sports betting will create new tax revenues. Estimations show that illegal bookmakers in Malaysia generate revenues up to 20 billion ringgit per year.